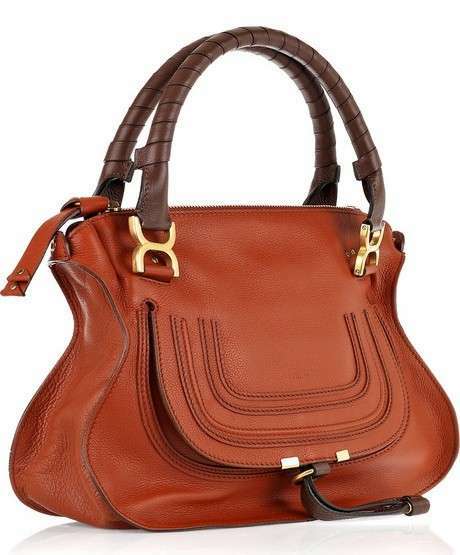 Simple and elegant, this Chloe Marcie Leather bag is definitely beautifully designed. 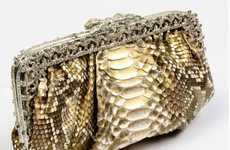 If you're looking for an accent piece to add some pizazz your wardrobe, this handbag will have you feeling like a hot rockstar on those cold, gloomy days. With a gorgeously burnished pumpkin color, along with stitches and tassel embellishments, the Chloe Marcie Leather bag is both functional and stylishly perfect for going to work or shopping. Implications - It holds a variety of compartments and pockets for all of your belongings, making it easy to find things in a jiffy. Look fashionable this fall with this gorgeous, pumpkin-colored bag. You'll be the belle of the mall with this "tote-ally" terrific tote bag.